How Do I Set Up A VPN On Android? If you use your Android mobile device to access the Internet, you need an Android VPN just as much as you need a VPN on your computer. This guide is designed to help you choose the best VPN for Android that can help you maximize your security and privacy and easily bypass Internet censorship. Keep reading to learn why and how you should set up and use an Android VPN and discover the best Android VPNs currently on the market. 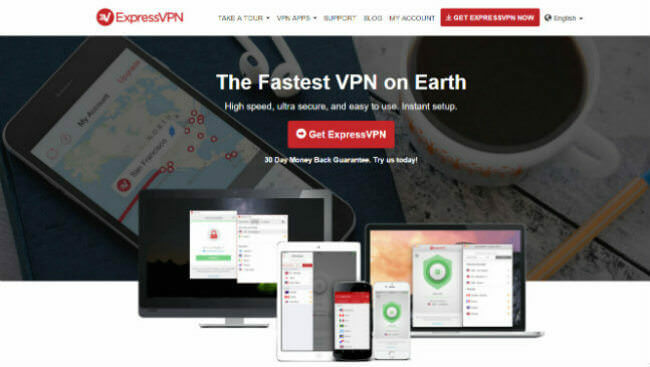 ExpressVPN is a powerful VPN for Android that allows you to avoid trackers, browse, stream, and torrent at great speeds, and enjoy military-grade encryption with its Android app that is elegant, easy to use, and extremely reliable. NordVPN, with its feature-rich offer, double encryption, and very fast, reliable servers, is an excellent choice for Android users who are interested in gaining more privacy and accessing blocked websites anywhere in the world. CyberGhost is a Romanian VPN provider founded back in 2011 as an unblocking service. The company provides its users with a native Android app that equips your devices with maximum VPN protection. If you are looking for a VPN service provider that has custom software for Android but also promises zero leaks, great speed and reliability, and excellent live support, then PureVPN might be the perfect choice for you. IPVanish has one of the best custom Android apps you will find on the VPN market. On top of that, the company provides remarkable speeds and some very interesting features, especially in terms of security and privacy. Provide unrestricted access to the Internet at home and abroad. If you would not want to catch a friend or partner going through your browser history, emails, and text messages, you probably would not like it if potentially malicious strangers had access to all this sensitive information. If you do not use a VPN on your Android smartphone or tablet, you are vulnerable to trackers and your private data can be obtained by everyone from hackers and social media trackers to your mobile provider and ISP. Your personal information may be collected and sold to third parties for various purposes, including targeted advertising. Furthermore, the government can track your activity and know whether you have been doing something you should not have. Thus, illegally downloading copyrighted material (e.g. via torrents) can get you into big trouble. Not to mention the dangers of connecting to unsecured, public WiFi networks that are crawling with hackers just waiting to intercept your traffic. On the other hand, if you use an Android VPN, you have got your invisibility cloak on, so no one in the world can know what you are doing online and your security and privacy remain intact. In addition to providing enhanced security and privacy, Android VPNs erase all virtual walls standing between you and the content you wish to view. Whether you live in a country with strict Internet censorship like China or the UAE, plan on traveling to one such country or just want to be able to view anything regardless of your location, VPNs for Android have got your back. With the right Android VPN, you can access any website or streaming service directly from your phone or tablet. The entire web is within your reach. VPNs for Android devices work in essentially the same way as VPNs you use on your computer. An Android VPN service allows you to connect to the Internet through its VPN servers. Your data travels between your Android device and the VPN server of your choice through a secured tunnel. It is protected by a layer of encryption so it cannot be deciphered and tracked by third parties. With the best VPNs for Android, your real IP and location and your online activity remain unknown to your mobile provider, ISP, the government, and even your VPN provider. Your online nationality is that of the country in which the server you connected to is located. Although they all fulfill the same purpose, Android VPNs differ in terms of how they choose to provide their services. They can be divided into two major categories. The first category includes Android VPNs that provide their own custom Android apps that can be installed like any other app on your device, with a VPN connection established in a single tap. The second category includes VPN services that do not provide their own applications for Android but instead require you to manually configure the VPN on your device. There are several ways to go about setting up your Android VPN and we will provide detailed instructions for all the most common scenarios. The setup process differs depending on the existence of a dedicated app and the encryption protocols used. If you prefer hassle-free installation and setup, the VPNs that offer their own Android apps are the best choice. There are two basic ways to download and install a custom VPN for Android. You can download the desired app directly from Google Play store or get a subscription from the VPN provider’s website and receive the download link to Google Play. The link is normally provided in the welcome email. Android VPNs are downloaded and installed just like any other Android app. Just click the download button, wait for the app to be installed, and your app is ready to use, no further actions required. If you do not want to use Google Play store to download your VPN for Android and let Google obtain information about your download, there is a more private option. Sideloading is a term that denotes the installation of an Android app with the use of an application package available in the APK format, normally obtained from external sources other than Google Play. It is easier than it sounds. The majority of VPN providers allow users to sideload their Android apps and provide APK files that can be downloaded from their official websites. If you opt for sideloading, first you have to go to your device’s Security or Applications (older Android versions) settings. There, you need to allow the installation of apps from external sources by toggling the switch or ticking the box next to Unknown Sources and confirming that you understand the risks. Second, be sure to download APK files from trustworthy sources only to avoid installing malicious apps. When sideloading an Android VPN app, only download the APK files from the VPN provider’s website to eliminate potential risks. Third, download a reliable Android file manager app if you do not have one. Once you complete the first three steps, you can download the APK file using either your computer or your Android device. If you download it using your computer, you can transfer it to your Android device via USB, Bluetooth, email, cloud storage service or any other method. After the download is finished, just locate the file using your file manager and choose the Install option. Once the installation is completed, your app will be ready to use. Most VPNs for Android can be configured manually and with some of them, this is the only way since there is no custom app. The setup process differs depending on whether the Android VPN of your choice supports PPTP and/or L2TP/IPSec protocols or OpenVPN protocol. Android devices come with built-in support for PPTP and L2TP/IPSec VPNs, so if you choose this option, you do not need to install any apps. First, you need to obtain PPTP or L2TP/IPSec settings information from your VPN provider. This information can normally be found in the Setup or Tutorials section of the website, but if you have a hard time finding it, you can reach out to the support staff. Enter the pre-shared key if provided/needed. Now just save the settings and your VPN is ready to go. Tap your newly created VPN to connect and enter the username and password you used when subscribing. If you want to use OpenVPN protocol on your Android device, which is always a safer choice, you need to download either OpenVPN Connect or OpenVPN for Android app, with the latter being the preferable and more feature-rich choice. You can find them in Google Play store. Once you download and install the app, you can proceed with the configuration. First, you need to download the Android configuration files from your VPN provider’s website. These files can be found in the provider’s manuals or obtained straight from the customer support. You can either download them one by one or even better, get them all at once by downloading the service’s OpenVPN configuration package, which you later need to unzip. Open your OpenVPN app. If you are using OpenVPN Connect, tap the Menu button in the top right-hand corner and choose Import. If you are using OpenVPN for Android, tap the + button in the top right-hand corner to create a new profile. In both cases, you need to locate the configuration files you downloaded, tap the file/server of your choice, and accept changes. You can import as many files as you wish. The names of the servers you imported will appear in the Profiles tab. To connect to a server, you just need to tap it and enter your credentials if needed (depends on the VPN provider). If you go with OpenVPN for Android, here are a couple of extra tips. This app comes with a built-in kill switch and leak protection. You just need to choose the desired connection in the Profiles tab and click the Edit button on the right. There, you need to see whether leak protection is enabled and check it if it is unchecked. To enable the kill switch, go to the Advanced tab and check Persistent Run. This will force the app to terminate your Internet connection if your VPN connection drops. To let the app attempt to reestablish a VPN connection until successful, you can modify the Reconnection settings located below the Persistent Run option and choose the Unlimited Reconnection Retries option. By adjusting these settings, you get to enjoy an increased level of security and prevent your real IP from becoming visible to third parties at any point. To help you understand what makes a VPN for Android better than the rest and how to pick the best one, we will now go through all the major steps of our selection process and point to the qualities we look for in an Android VPN when comprising our top list. First of all, we always prefer VPNs that offer their own custom Android apps vs. those that require manual setup, simply because they are easier to install and use, which makes them suitable for beginners and advanced users alike. We look for Android VPN apps that feature a modern, sleek design. We want all the most important features to be clearly visible and readily accessible. The environment needs to be uncluttered, providing for easy navigation. The best Android VPN apps feature a large on/off button that allows you to connect or disconnect in a single tap. They further allow for easy server selection, with handy server maps, lists or both. Their settings include short and clear descriptions of all major options and features, so an inexperienced user can understand their functions and adjust the settings accordingly. All of these characteristics contribute to the usability of the app. While bugs and glitches are virtually inevitable, we want our top-rated VPNs for Android to be highly functional and characterized by a smooth performance. We do not tolerate frequent crashes and we thoroughly test the apps to ascertain whether there are any issues that might negatively affect user experience. Furthermore, we pay attention to the way VPN providers handle bugs and work on upgrading their Android apps. While frequent upgrades and bug fixes are generally a plus, we make sure that the upgrades are truly useful and that the new features are fully developed, so they do not diminish the functionality of the app, which is frequently the case. When it comes to a VPN’s server network, size does matter. If a VPN service operates a large number of servers all over the globe, you can easily find a server close to you and enjoy a speedy connection. Furthermore, you can choose from a range of virtual nationalities, so you can access any content you wish in spite of geo-restrictions. However, the strategic distribution and numerousness of the servers are not the only important factors. A good VPN for Android operates high-speed, high-performance servers, so even if you connect to more distant servers, you do not have to deal with slow connections. In some rare cases, using an Android VPN may even result in greater speed and performance, due to the superior network capacity. Finally, we expect our top-rated Android VPNs to offer a maximum uptime guarantee, which indicates the reliability of the network. The strength of the encryption and the selection of protocols are equally important on all your devices. If an Android VPN app only uses PPTP with weak encryption, it does not significantly improve your privacy and security. OpenVPN is generally considered to be the safest protocol, which is why we prefer Android VPN apps that use OpenVPN as the default protocol. Furthermore, we want them to employ high-level encryption, with AES 256-bit being the best option. A kill switch is one of the most important security features a VPN for Android needs to possess. There are a number of reasons why your VPN connection may suddenly drop. When an unexpected connection drop occurs, your traffic is no longer encrypted and your real IP address becomes visible to the websites you are visiting, services you are using, and various trackers. In order to prevent this from happening, top-of-the-line Android VPNs offer apps equipped with a kill switch that instantly terminates your Internet connection in cases when your VPN stops working. This feature is often coupled with an auto-connect feature, which automatically attempts to reestablish a VPN connection if it suddenly drops. Just because you are using a VPN on your Android device does not necessarily mean that your privacy and security are preserved at all times. Some VPNs may suffer from security flaws known as leaks, which means that your real IP and your browsing history may still be exposed to third parties, like your ISP. Leaks may not only occur due to your VPN’s imperfections, but good Android VPNs feature leak protection that can prevent leaks from happening even if they are caused by some other technologies your device uses, like the flash player. While one of the primary functions of an Android VPN is the protection of your privacy, some VPNs still monitor your activity and collect your data for various purposes. When choosing the best VPN for Android, we thoroughly inspect the privacy policies of our short-listed candidates in order to determine whether any logs are kept. The best VPNs for Android do not monitor your activity and do not keep any kind of logs. In some cases, connection logs are kept, including bandwidth used, connection times, and other non-personal data that allows the VPN provider to make sure that you are using the service in accordance with the agreed terms. This is tolerable, as long as the provider does not attempt to discover what you are doing online or collect your personal data without your authorization. When choosing an Android VPN, one of the key pieces of information you need to obtain is the location of the company. Different countries have different laws related to privacy and some countries belong to international surveillance alliances known as the Five Eyes, Nine Eyes, and Fourteen Eyes. These countries include Australia, Canada, New Zealand, the United Kingdom, the United States (Five Eyes), Denmark, France, the Netherlands, Norway (Nine Eyes, together with the Five Eyes countries), Germany, Belgium, Italy, Sweden, and Spain (Fourteen Eyes, together with the Nine Eyes countries). As far as company reputation is concerned, it is always smart to go with the best-known VPNs that are highly rated by relevant authorities. Unreliable VPNs for Android are notoriously common and some of them even contain malware, especially the free ones, so we never recommend installing an Android VPN app that has not been cleared by VPN experts. Whether you are an experienced user or a novice, you may face some issues with your Android VPN and require the help of an expert. That is why it is wise to choose Android VPNs that offer 24/7 customer support, so you can get help whenever you need it. Some of the best VPNs for Android devices come with built-in support for increased convenience. While it makes sense that the best VPNs for Android cost more than others, we only feature the ones that offer the best value for your money. We do not only determine whether the price corresponds to the quality of the service provided, but we also strive to provide a list of excellent Android VPN solutions for different depths of pocket. Furthermore, we choose the VPNs that offer multi-device subscriptions, so you can use your VPN on your Android devices and all other devices in your household without paying extra. Our goal is to help you find a VPN for Android that suits both your needs and your budget. What follows is a complete overview of the pricing options offered by Android VPNs that made it to our top list. Browse the table below and discover how our top picks compare to one another in terms of affordability. We have chosen the best VPNs for Android that satisfy all of our selection criteria. Now it is time to explore our top picks in greater detail and find out which one is the best fit for you. Read the mini-reviews below, discover the key features of our top-rated Android VPNs, and decide which one is the right match for your needs. ExpressVPN for Android is another well-designed custom VPN app that is wonderfully easy to use. The service’s server network is incredibly vast, including 1,700+ servers in more than 140 locations in 94+ world countries. The servers are fast and reliable and allow you to browse, stream, and torrent anonymously and safely while enjoying amazing speeds. An additional benefit of ExpressVPN Android app is access to stealth Hong Kong servers for Chinese users battling with censorship. ExpressVPN Android app uses AES 256-bit encryption and safe L2TP and OpenVPN protocols, thus providing high-level security with zero leaks. Your privacy is optimized with the company’s strict zero-logging policy and Bitcoin as a supported payment method. A single account comes with 3 simultaneous connections and satisfaction is guaranteed with the 30-day money-back guarantee. You can reach out to the customer staff at any time and get prompt answers thanks to the 24/7 live support. There is a nearly endless list of reasons why the well-known NordVPN for Android is our number one choice. This excellent Android VPN app is elegant and perfectly easy to navigate. It allows you to choose from over 3,500 servers distributed across the globe, so you can access any content you wish. The speeds are great and the performance is stellar. NordVPN for Android uses the safest OpenVPN protocol by default and employs the powerful AES-256 encryption. Furthermore, the app comes with an automatic kill switch and protects you from leaks. For increased protection, NordVPN Android app includes the CyberSec feature that identifies and blocks potentially harmful websites. If you want to torrent, you can download as much as you want by connecting to the P2P-optimized servers. The company does not keep any logs of your activity and allows you to pay with Bitcoin for maximum anonymity. You can use it on up to 6 devices with a single account, so you can save cash and enjoy protection on both Android and other platforms if desired. If you need help, you can rely on NordVPN’s 24/7 support. CyberGhost is a famous VPN provider launched way back in 2011 in Romania to unblock restricted content. In time, it became a fully-fledged VPN service with a native Android app that allows you to anonymize your IP address, secure online transactions, stream your favorite content on geo-locked platforms, and much more. To start using the VPN, you have to download the app from Google Play. Keep in mind that you can make use of the free trial to determine if it is right for you. Once the trial is over, you’ll have to purchase a subscription if you want to continue using it. Note that CyberGhost Android app works with Android OS 4.4 and up. It technically CAN work with older devices, but you’ll have to set a native protocol manually, which is far from ideal if you’re not particularly tech-savvy. Apart from the native app for Android, CyberGhost also provides you with top-of-the-line privacy & security (AES-256, no logs, OpenVPN, DNS/IP leak protection, auto killswitch…), high speeds with unlimited traffic & bandwidth, access to 3,500+ servers in 57 countries, and a 45-day money-back guarantee. PureVPN is always working on improving its Android app and its work has certainly paid off. It currently offers one of the best Android VPN apps on the market, characterized by both excellent performance and amazing usability. You get to choose from more than 750 servers across the world and enjoy incredible speeds that may be even greater than those you enjoy without the use of a VPN. This is one of the main advantages of PureVPN Android app and one that sets it apart from nearly all the rest. P2P sharing is allowed on dedicated servers, so you can torrent at blazing speeds. As far as security is concerned, you get to enjoy the benefits of military-grade AES 256-bit encryption and secure OpenVPN protocol. The app includes the handy kill switch and auto-connect features. To minimize the use of resources and extend battery life, you can choose the excellent split tunneling option that allows you to choose which apps you want to protect with your VPN. PureVPN keeps no logs of your activity and allows you to pay with Bitcoin. You can try it out with the free version that includes 2 GB of free bandwidth. With a subscription, you can use it on 5 devices at once. IPVanish for Android offers a wonderful combination of usability and mighty protection. The app is beginner-friendly and allows you to enjoy a great user experience. The speeds are reliable, the performance is excellent, and there are no glitches or sudden crashes. There are more than 1,000 servers in 60+ countries to choose from, all high-speed and suitable for torrenting. The app automatically suggests the fastest server for you based on ping and location. IPVanish Android app uses strong AES 256-bit encryption and OpenVPN protocol. It even features OpenVPN Scramble that prevents firewalls from detecting your VPN connection. If you wish, you can manually configure PPTP or L2TP, but this is not recommended since OpenVPN is more secure. The service does not monitor your activity and keeps no traffic records. You can use it on up to 5 devices at once. Your subscription comes with a 7-day money-back guarantee. Customer support is available round the clock.